our range of training bats Build strength, enhance stability, develop Footwork, improve bat speed and Give you greater Control Over your bat. For over 60 years, Baseball players have been using weighted bats in training. Now Cricketers can too. The ForceTrainBetter range of training bats are a perfect addition to your training kit. Mixing up your training with our range of overweight/underweight bats can increase body strength and help perfect your technique. Baseball players have been using similar weighted products for over 60 years. 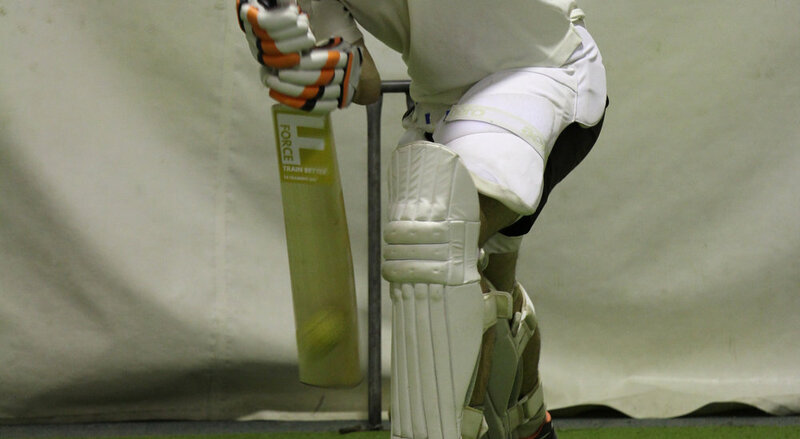 The ForceTrainBetter bats are available in a range of sizes and weights, to suit all ages. We also have different shape bats, like our slim range, to enhance your technique training. Underweight/overweight training programs are now being used by some of leading coaches in world cricket. Reputed Cricket Coaching Academies including Future Stars (Australia, NZ, UK) and Power Hitting Systems UK are trend setters in this regard. Conventional batting training methods help develop basic muscle strength and muscle tone to allow a batter to control stroke play and execute shots correctly, but, only within certain limits. If you want to be able to impart greater speed and direction into your attacking shots you need to be able to swing the bat faster as well as distribute your weight correctly in order to provide the right amount of resistance. By implementing the use of the ForceTrainBetter range of bats into your net sessions you will generate faster bat speeds because your muscles will become stronger. The added weight of the heavier bats will also force you to move your feet so that you maintain balance throughout shot play. This is because you cannot swing the heavier bats properly if you are off balance. They literally pull you over giving you the sensation that you need to move your feet to maintain balance. After repeated use the feet learn to move without you thinking to much about it. You will then be able to generate the right level of resistance to compliment the additional power in your swing. - Keep in mind that bat swing speed is not only reliant on strength. Speed movement drills should also be incorporated into your sessions. The ForceTrainBetter super lightweight bats should be used for this. The T4 is the most popular bat in our range, adding 40% or an extra pound to the weight of a standard 2 lb 10 bat. Great for those looking to try our range and for those looking to improve strength. Aside from the weight, the T4 is very similar to the common 2 lb 10 bat. It is also available in harrow and size 6 for younger players approaching the elite junior levels. The T6 adds approximately 60% to the weight of a standard 2 lb 10 (1.19 kg) bat, making it 4 lb 3 (1.9 kg) and the heaviest bat in our range. This is perfect for those who use a heavier bat or a really looking develop added strength in the upper body and forearms. The T6 is a only available in adult SH size. The T2 is a great training bat for those who use a lighter bat in a game or struggle with the heavier training bats. It adds 20% to a standard 2 lb 10 bat, coming in at nearly 3 lb 3. It is available in a range of sizes, including SH, Harrow and 6. In the smaller sizes, the bat weights less but the same percentage more than a standard bat of that size. The TS2 is a slim technique bat with added weight. This bat is another popular one, as it combines our unique weighted training bats with the common technique bat used around the world. The TS2 weighs nearly 3 pounds, which is just over 20% more than a standard 2 lb 10 bat despite the slim profile. The TS is our slim technique bat, with an important difference. While slim bats are great for improving technique, their reduced weight favours the batsmen which is not always ideal in training. Our TS adds weight to the slim bat to make up for the 30mm taken off the width. This makes our TS training bat ideal for use to improve technique, without cheating muscle development like common technique bats. Newer bats use a softer, younger willow, giving lighter weight and increased size. This reduces lifespan. We've opted for a longer lasting willow which also keeps cost down. We offer a range of weighted bats to suit each player. Our bats start at a size 6 through to adult. Mainly we offer 20%, 40% and 60% extra weight models. In addition to our varying weights, we also offer varying shapes. Our slim technique bats combine the weights that we use in our standard shape bats. Years ago I was an aspiring Cricketer and would spend lots of time in the nets. I always liked using technique bats against the bowling machine, but the lighter weight made me feel like I was cheating. That's when I first thought, would training with a heavier bat improve my game? I experimented with a few concepts, but none were practical and I put it aside. Years later I noticed MLB hitters warming up with a weighted bat and the idea came back to me. Again though, I couldn't settle on a practical concept. I then had a "penny drop" moment of ditching a bat weight and creating a weighted training bat. This changed what was possible and we we're able to make a prototype I liked. The prototype seemed too heavy, but I started hitting balls anyway. A few minutes later, I forgot I was using a heavier bat. When I realized, I picked up my normal bat and it felt like a toothpick. I ran out of excuses not to give it a go, and ForceTrainBetter was born. The game is changing so you need to change the way you train!’ It’s a Power game now with emphasis on hand speed, ball exit speed, Power Transfer Ratios, strike rates, strike quality, boundary and dot ball percentage. With the evolution of T-20 you are required to not only to have a Power game but a skill and touch game also, the game demands this now if you are to succeed at the highest level. I want to put information out there, players and coaches are now searching for it. To understand the Power Hitting concept you need ‘ body awareness’ and understand how your body is moving. The NEW Cricket Academy will change the way players/coaches view coaching, using NEW and unique methods created by Julian Wood, the global Power Hitting Specialist. As coaches/players it is an interesting and exciting era to be involved. You have to be willing to travel to uncharted waters with ideas that would of been considered off beat say 5/10 years ago but now are considered a part of the routine. You’re allowed to work outside of the box, you’re allowed to do what you feel you need to do, even if it isn’t the norm. The NEW Force Train Bats have taken the Power Hitting System to another level, I recently used them with the England Lions/ ODI Squad and the results and feedback from the players were very positive. The Smart Bat will be groundbreaking, with the statistical revolution in cricket has yielded some significant breakthroughs in run prevention. But no matter how the numbers are crunched, there’s no defense against a ball that leaves the field!! Batsman will have access to advanced statistics to maximise their ability - their approach has changed, their whole goal is to hit the ball hard!! I can’t wait to bring The Power Hitting System to Perth and team up with Force Train Better and the Cricket Academy in October 2018.